There’s nothing quite like the feeling of getting spooled by a big fish. Deep inside we all kind of want to have that problem, but when it happens you may feel some unexpected panic. I remember a time on the Dean River when I hooked a hot steelhead in heavy current. The fish ate my fly as soon as it began to swing and made a big run downstream. Before I knew it I was looking at the arbor of my reel through a few scant wraps of backing. When you find yourself in this situation, it’s easy to screw it up. Your first instinct, really every instinct, tells you to stop that fish. To grab the spool or tighten the drag. That’s really about the worst thing you can do. It usually ends in a straightened hook or broken line. Sometimes even broken backing and a missing fly line. What most anglers don’t realize is, when you’re getting spooled, your drag is already increased. The resistance of the water against all of that line puts a lot of extra pressure on the fish. If you have set a reasonable drag pressure on your reel, it is now being compounded by the weight of the water on the line. The effect is barely noticeable with just your fly line out, but when you are deep into your backing, it’s huge. So what can you do when you’re getting spooled? Well, I’ll tell you what I did that day on the Dean. I ran. I chased that fish downstream as fast as I could, over boulders and logs for better than a quarter of a mile. The fish finally turned and I was able to work her upstream, and finally land her. That was a good feeling, even if I was bloody and bruised. When tarpon fishing, you follow the fish with the boat. When the angler gets into their backing, their guide or fishing partner will fire up the motor and follow the fish so the angler can take up some line. 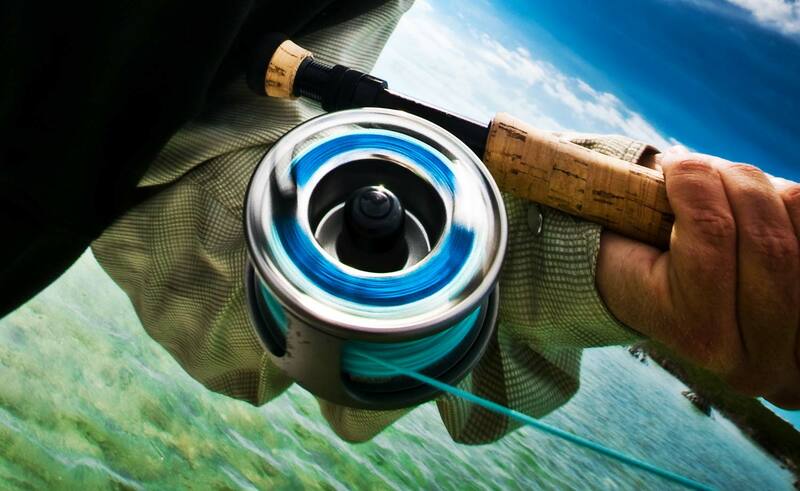 Once the fly line is back on the reel, you can put pressure on the fish with confidence. This not only raises the odds of landing the fish, but is better for the fish, as it can be landed sooner. I hope this will be a problem you’ll face regularly, even though I can’t imagine getting used to it. Just remember, when you see your backing running out, you already have extra drag. Don’t add any more. Cover some ground and land that fish. This entry was posted in Fly Fishing Tips & Technique, The Hot Ticket and tagged So what can you do when you're getting spooled by a big fish? by Louis Cahill. Bookmark the permalink. The most fun I ever had was Silver Salmon on a fly in a log choked creek. The Coho were hunkered down in those log jams waiting on the incoming tide so they could progress further upstream. It was tough to get just the right drift so that your fly would fall or get sucked into the right hole in the tangled logs below. When you did get that drift oftentimes when you raise your rod tip the hole would turn silver with a 8-12 pound Coho and once free of its lair it went searching for a new one. Many times a run down the creek was the only way to land these magnificent fighters. I compare them to steelhead. Thanks for the newsletter. I read them all and most issues contain a memory jogger of my days fly fishing the Northwest and Alaska.